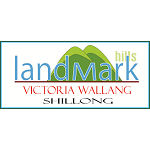 Landmark Hills at Nongrim Hills, Shillong is the extension of hotel chains of Landmark Tours & Travels in the state of Meghalaya. It has 21 well-appointed rooms. At our Landmark Hills there are 18 Luxury Rooms and 03 Suite Rooms. The rooms are heated for guest comfort and have a minibar and satellite TV. The rooms are very comfortable and well-furnished with all the facilities. The hotel is at easy location where tourists can easily commute after the day long exploration of the sites. Ample parking space is available at the hotel. The in-house restaurant serves multi-cuisine.